A and C were out and about shopping the other day, and lunch was rather put on the back burner as A scurried around getting shoes and C struggled to find a blazer without outrageous puffy shoulder pads. After the the credit card had done some serious heavy lifting, C pointed out that nobody had eaten breakfast, it was mid afternoon, and lunch was really needed. 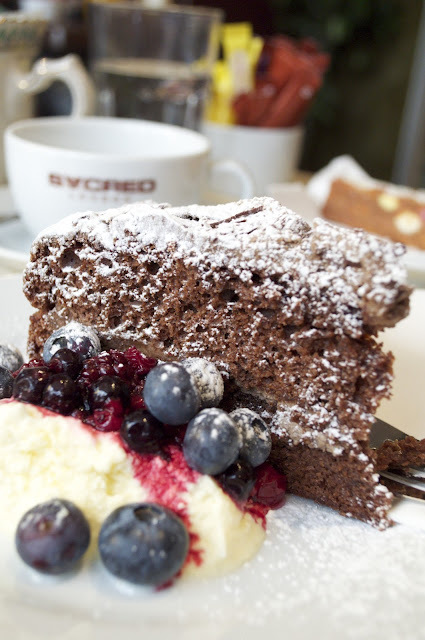 As A and C were in the Carnaby Street area, they popped into a really lovely local coffee shop called Sacred Cafe. As the sun was shining and Sacred offer an al-fresco coffee experience, we headed there for a spot of lunch. 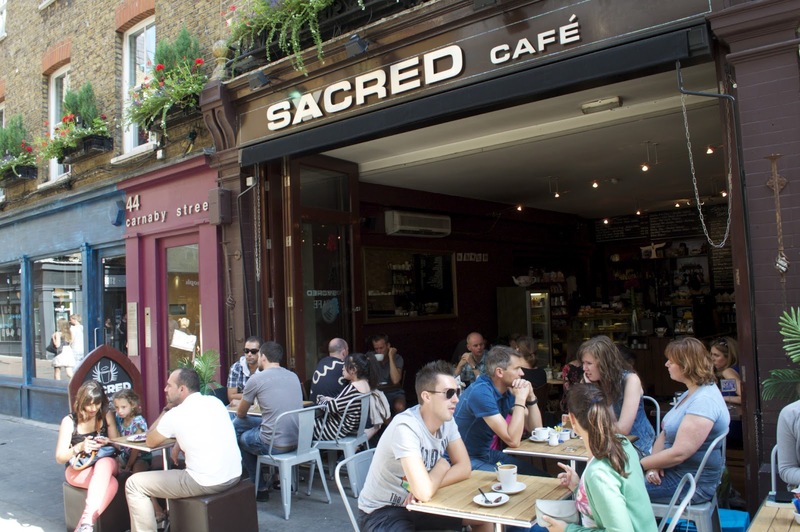 Sacred (spelt with an upside-down A) is a kiwi coffee shop with a few cafes around London. The Carnaby Street outlet was the original, but they are popping up all over town, with branches in Stanford's bookshop in Covent Garden, Westfield and in Highbury, to name a few. As so often the case with kiwi coffee houses, Sacred has an extremely laid back feel: it's covered in a combination of New Zealand and Catholic kitch, which may sound incongruous, but really does work. However, while the cafe has a chilled out vibe, the baristas are serious about their drinks as they take real pains to press the perfect coffee and brew immaculate tea. More or less everything was excellent during our light lunch at Sacred. A and C ordered a panini each, and while A's chicken cheese and spinach offering was a touch on the dry side, C's really was quite delicious. 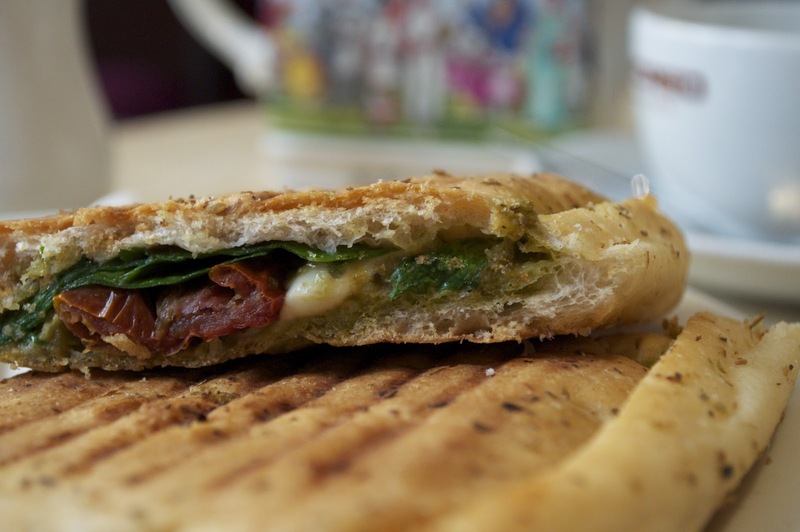 The sun-dried tomatoes packed some real punch and complemented the spinach and cheese in the melt perfectly, leaving A with a serious case of food envy. Dessert was equally lovely: the shared chocolate fudge cake was delicious and immaculately presented, looking like something off a BBC cookery programme. 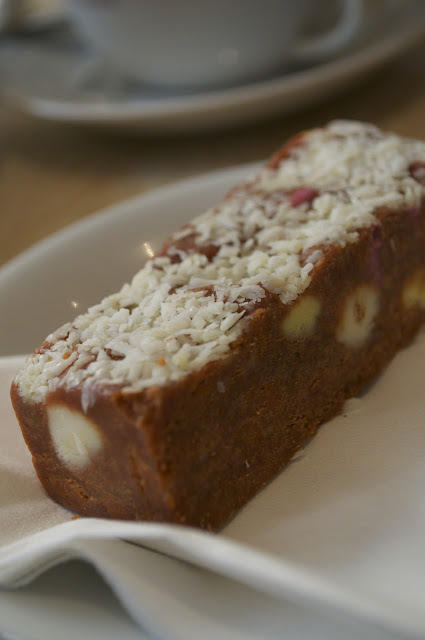 The NZ lolly cake pleased A and C's vociferous inner children as it appears to be tiffin with coconut and an extra wow factor in the form of dolly mixtures. Amazing. The real stars of the show, though, were the drinks. 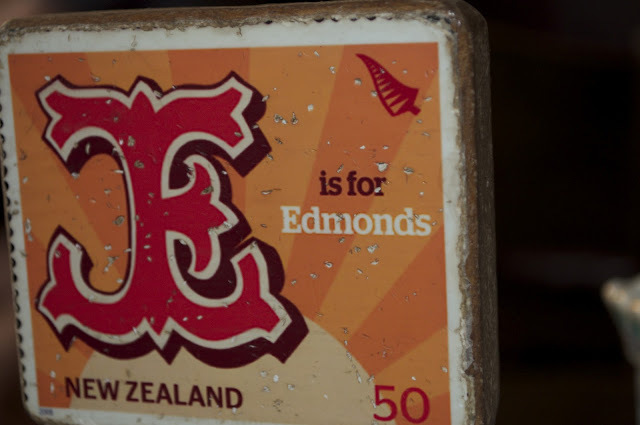 As the place is Antipodean, A put Sacred's long black to the test and it came up trumps. The steaming mug which arrived was creamy, smooth and almost chocolatey in flavour. 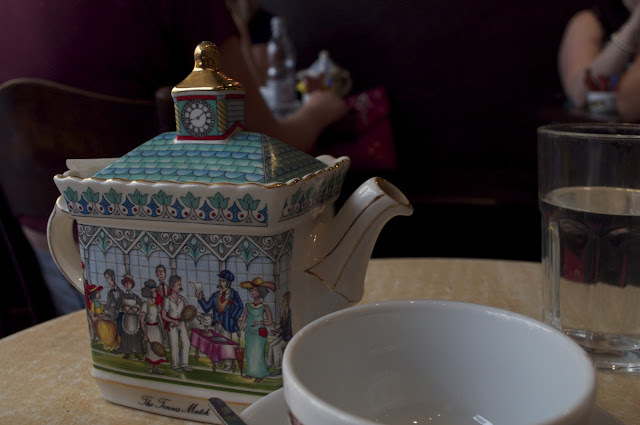 While A was cooing over his coffee, C's lapsang suchong turned up in a crazy teapot depicting a Victorian tennis match, which thrilled her to bits. 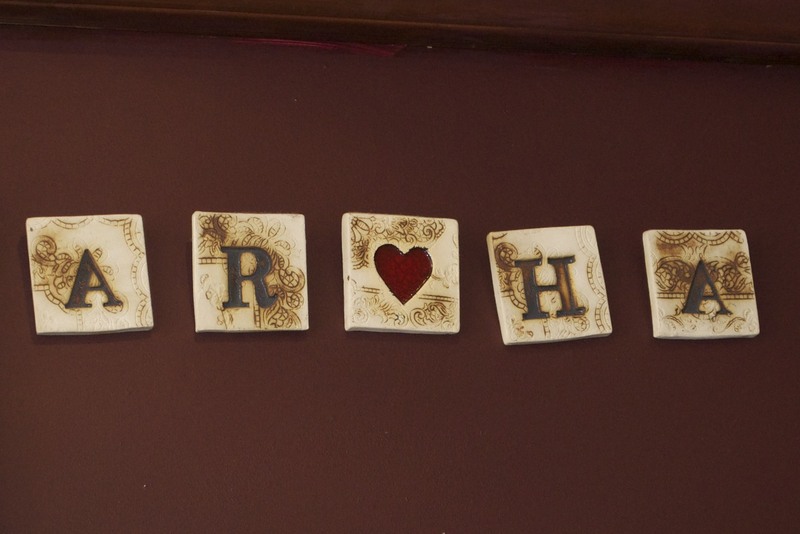 Ours was not the only mad teapot around, as each customer seems to get a different kitch piece of porcelain with their tea. As with the coffee, the tea was of excellent quality, although C came to the conclusion that lapsang suchong was perhaps a little bit too smokey for her and she might have preferred the Ceylon instead.